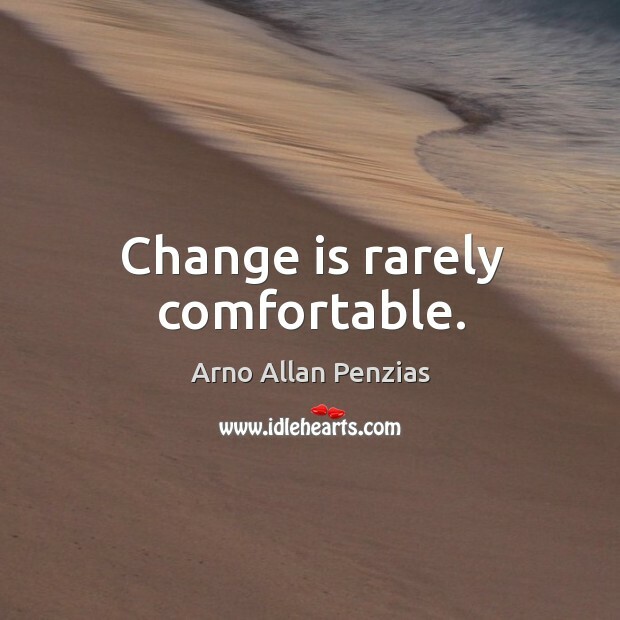 Enjoy the best inspirational, motivational, positive, funny and famous quotes by Arno Allan Penzias. Use words and picture quotations to push forward and inspire you keep going in life! Astronomy leads us to a unique event, a universe which was created out of nothing, and delicately balanced to provide exactly the conditions required to support life. 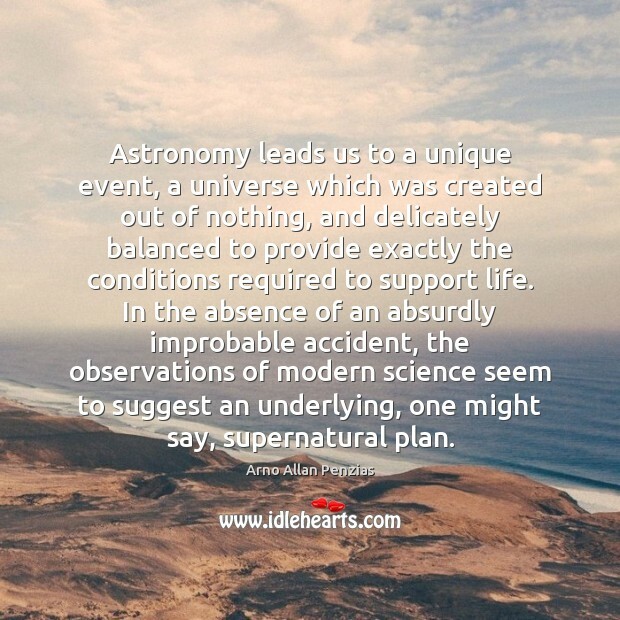 In the absence of an absurdly improbable accident, the observations of modern science seem to suggest an underlying, one might say, supernatural plan. 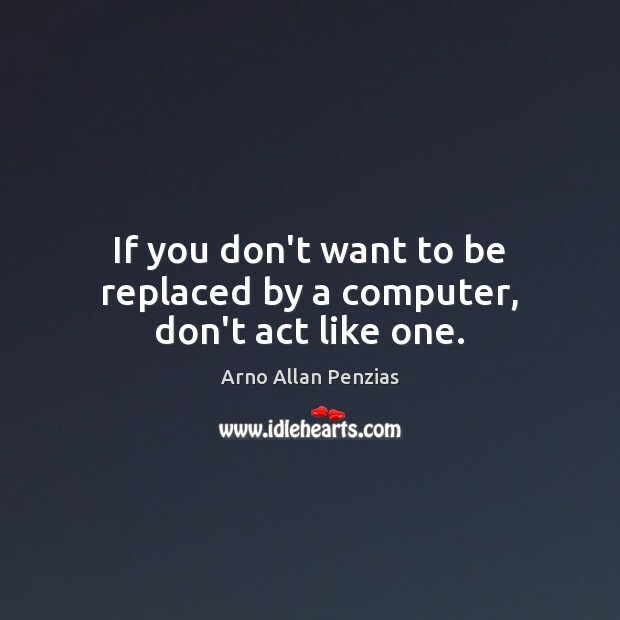 If you don't want to be replaced by a computer, don't act like one. What you really have to do, if you want to be creative, is to unlearn all the teasing and censoring that you've experienced throughout your life. If you are truly a creative person, you know that feeling insecure and lonely is par for the course. You can't have it both ways: You can't be creative and conform, too. You have to recognize that what makes you different also makes you creative. If there are a bunch of fruit trees, one can say that whoever created these fruit trees wanted some apples. In other words, by looking at the order in the world, we can infer purpose and from purpose we begin to get some knowledge of the Creator, the Planner of all this. This is, then, how I look at God. I look at God through the works of God's hands and from those works imply intentions. 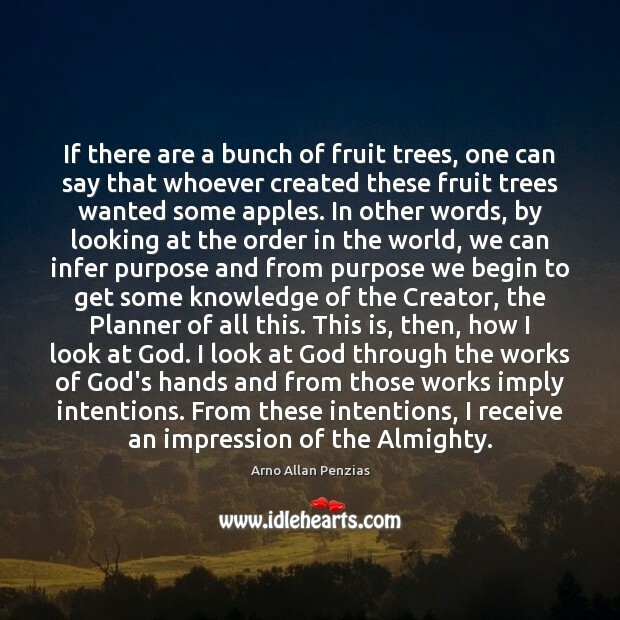 From these intentions, I receive an impression of the Almighty. 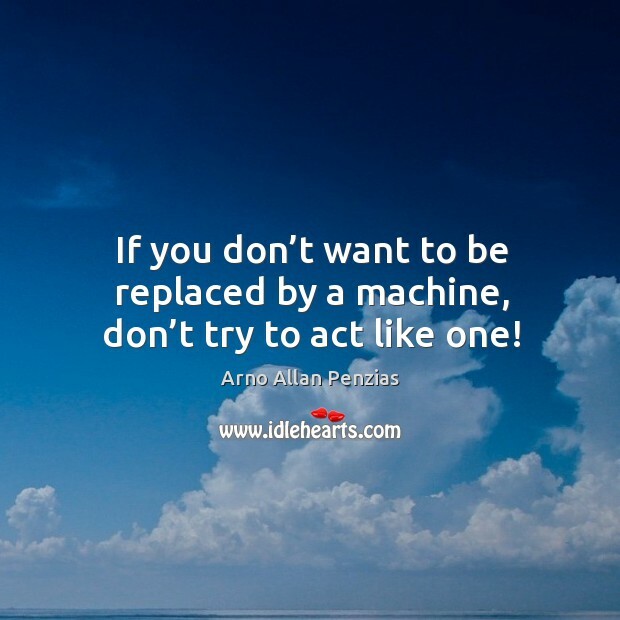 If you don’t want to be replaced by a machine, don’t try to act like one! I feel that I learned far more from my students than I could possibly have taught them.